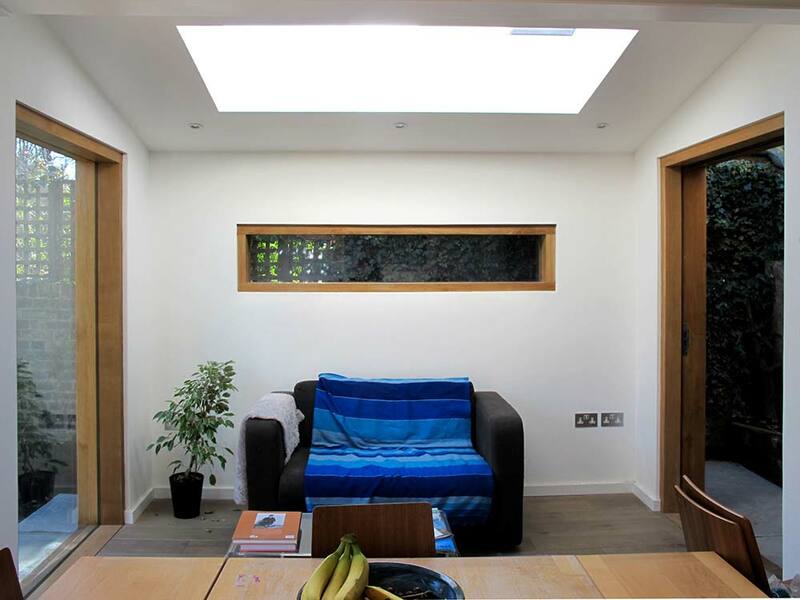 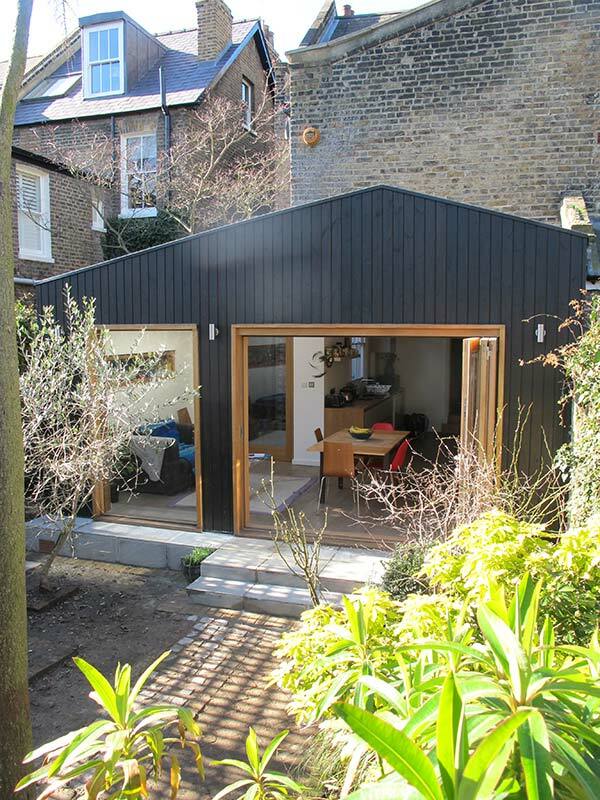 This is a small wrap-around extension to the rear of an existing Victorian semi-detached house. 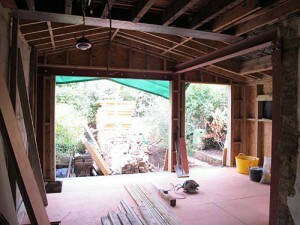 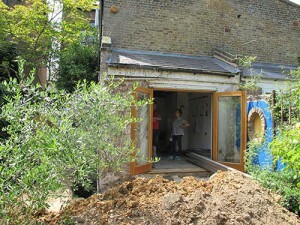 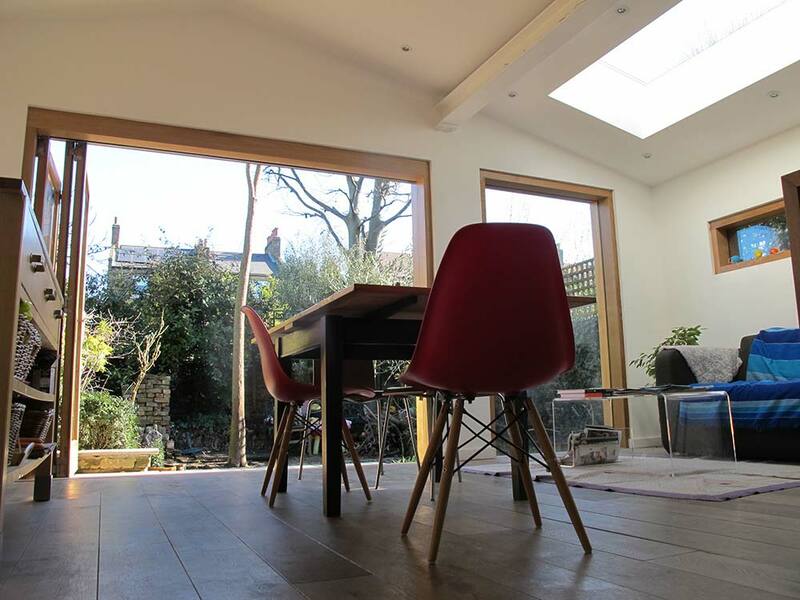 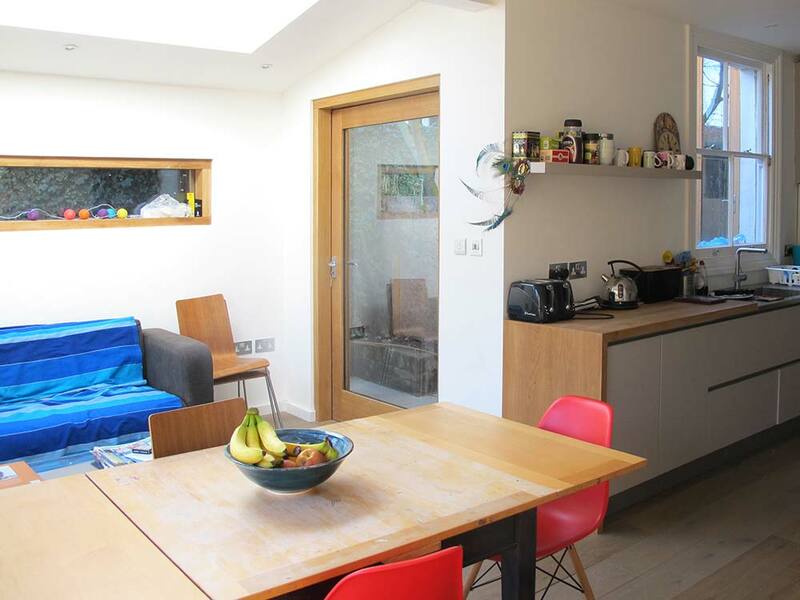 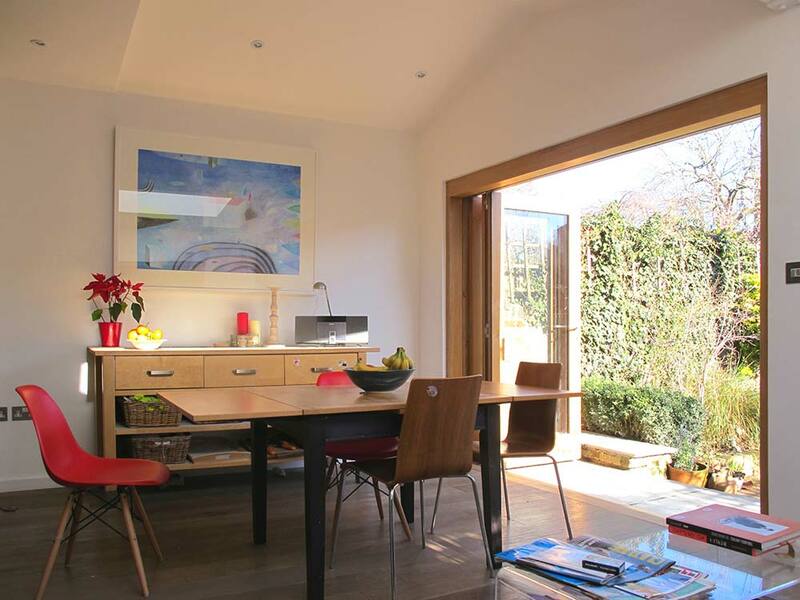 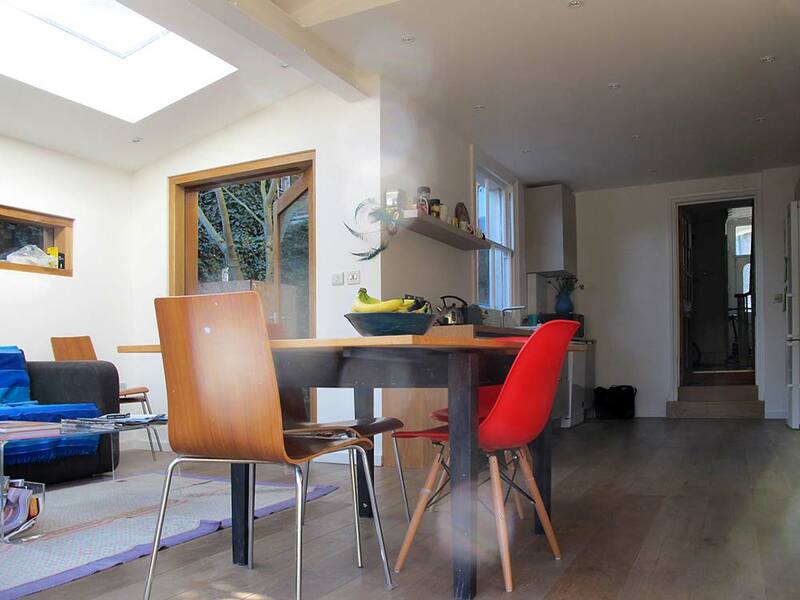 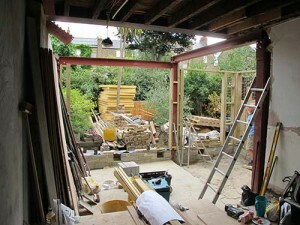 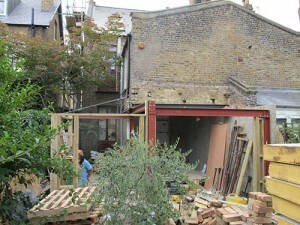 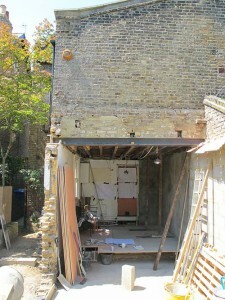 The rear and side walls of the existing building were removed to create open plan kitchen, dining and living spaces. 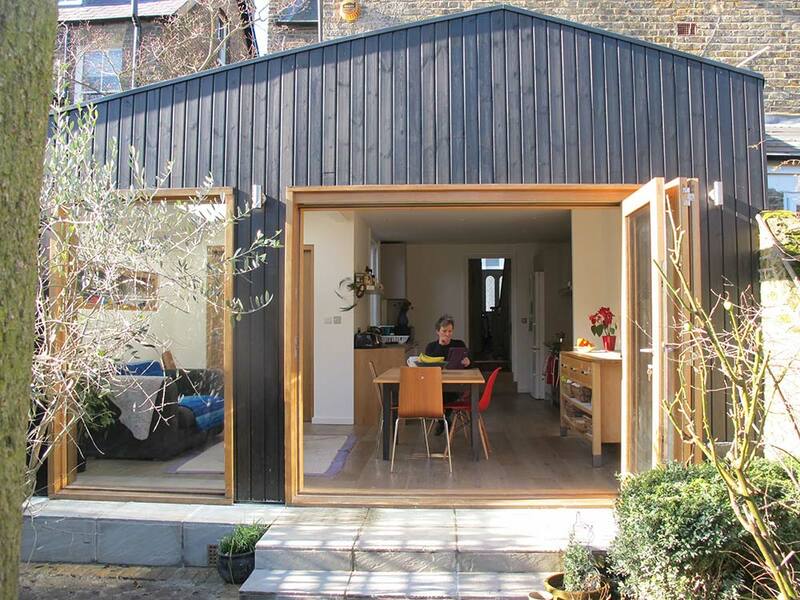 The simple asymmetric form of the extension – which is expressed internally – creates a strong architectural aesthetic which relates back to the existing building through its shallow pitched roofs. 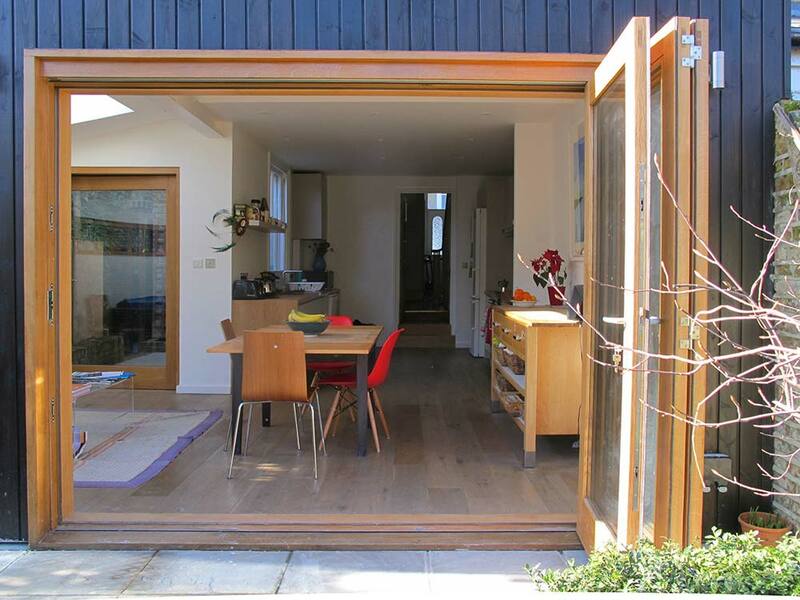 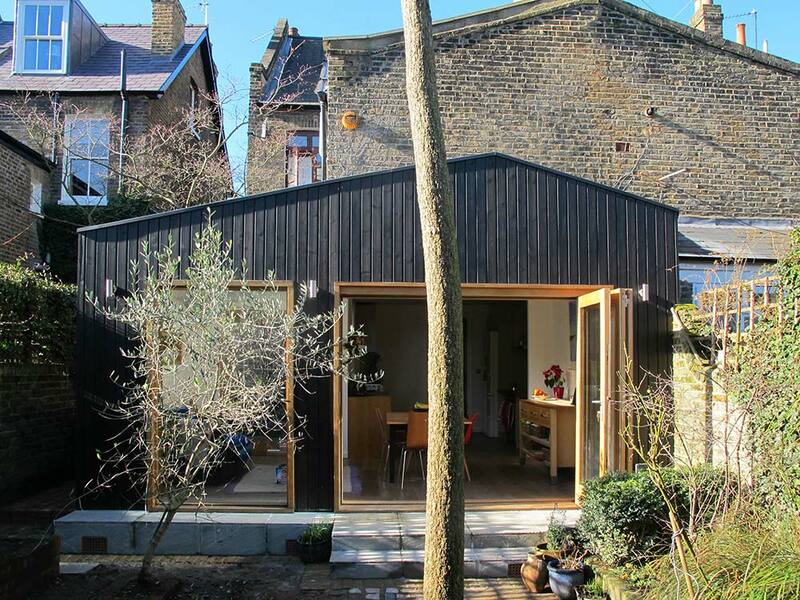 The extension is clad with Russian Redwood finished with a natural black stain. 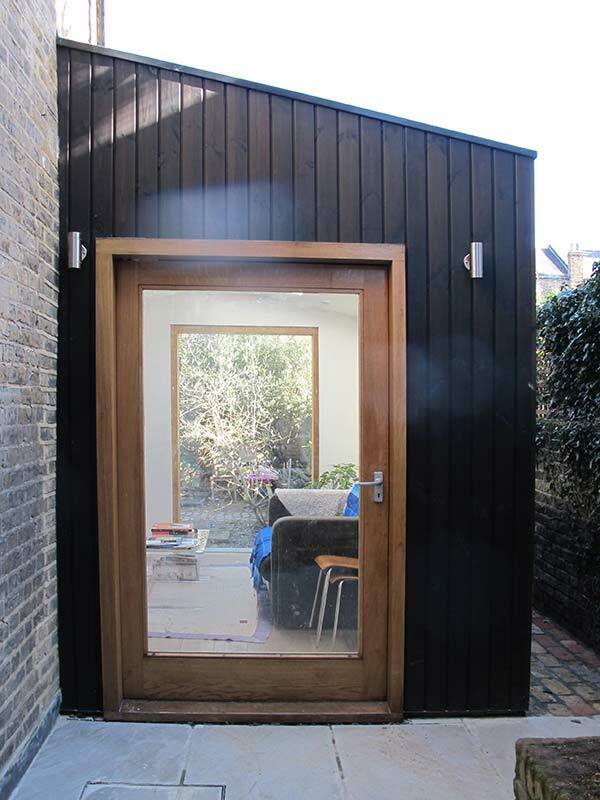 This creates a strong material contrast with the existing house; but it sits comfortably against the existing soot-stained London stock brickwork. 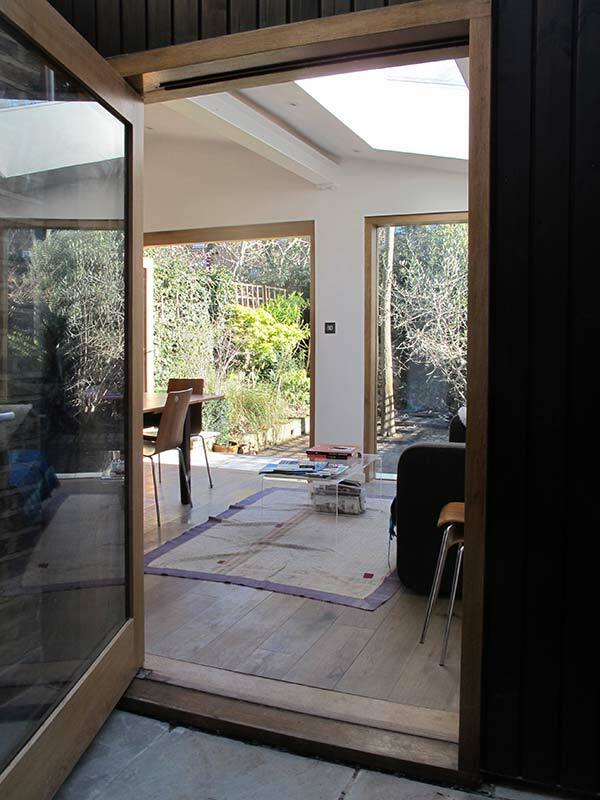 The light Oak frames to the doors and windows contrast against the black cladding framing the views from inside to outside and visa versa. 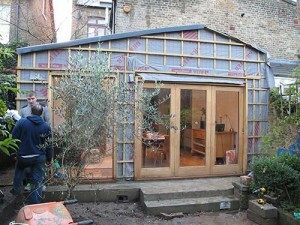 The extension has a sedum and wild flower green roof.